Google chrome is included top 10 products of Google. Google is the number one and most popular search engine in the world we have to know. 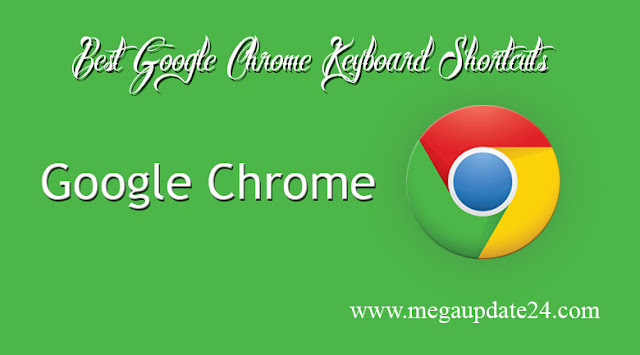 In this technology post, I am gonna showing you the Best Google Chrome Keyboard Shortcuts which help you with your online browsing journey comfortably. Google search is the faster search engine in the, on the contrary, Google Chrome is also the faster and popular browser all over the world. Actually, most of the people known to google by google chrome and google search. This time, maximum internet marketer and blogger use google chrome for their employment, the reason is it's faster speed and awesome and amazing features. Google Chrome is the number one browser where are included so many extensions which you didn't get on the others. It has some coolest shortcuts. Now we describe bellow chrome browser keyboard shortcuts. You can use those google chrome shortcut on desktop and others devices. Alt+Tab = Toggle Between Browser Windows. Alt+Home = Open Your Homepage. Alt+Left Arrow= Return or Back A Page. Alt+Right Arrow= Forward a New Page. F11= Display the Current Webpage in Full Screen Mode, Again Press It To Return. Esc= Stop Current Page or Download From Loading. Ctrl+(- or +)= Press Ctrl with "+" Sign for Zoom In and press "-" Sign for Zoom Out. Ctrl+0= Press This Command For Make Your Browser Setting Default. Ctrl+(1-8)= Pressing Ctrl and Any Number Will Move to The Corresponding Tab In You Browser. Ctrl+9= Directly Switch to The Last Tab. Ctrl+Enter= Quick Browsing, For Example, You Just Copy A Web Address Like http://www.megaupdate24.com To get It Quickly. Press Ctrl and Enter. Crl+Shift+Del= Pressing It to Clear The Private Data. Ctrl+Shift+B= Toggle The Bookmarks Data Between Hidden and Show. Ctrl+D= Add a Bookmark For The Current Open Webpage. Ctrl+A= Select Everything From The Opening Page on Browser. Ctrl+F= Open The Search Bar to Find Any Thing. Ctrl+O= Open a File in Browser. Ctrl+Shift+O= Open The Bookmark Manger. Ctrl+H= Open History In a New Tab. Ctrl+J= Showing The Download Window. Ctrl+(K or E)= Perform a Google Search. Ctrl+L= Highlight The Address From The Address Bar. Ctrl+N= Open New Browser Window. Ctrl+Shift+N= Open A New Window With Incognito Mode. Ctrl+P= Print Current Open Page. Ctrl+(R or F5)= Refresh The Current Page. Ctrl+T= Open a New Tab. Ctrl+S= Save The Current Opening Page. Ctrl+U= View Current Open Page's Source Code. Ctrl+W= Close the Current Selected Tab. Ctrl+Shift+W= Close The Current Selected Window. Ctrl+Shift+T= Open The Last Tab You Have Already Closed. Ctrl+Tab= Move Each Of The Open Tabs Gradually. Ctrl+Shift+ Left Click= Switch to The New Tab and Open The Link in A New Tab. Ctrl+Left Click= Open The Link In a New Tab And in the New Background. Shift+Spacebar= Move Up A Page At a Time. Spacebar= Move Down A Page. Ctrl+Alt+Down Arrow= Move to Top of The Page. Alt+Down Arrow= Display All Previous On a Drop-Down Menu. 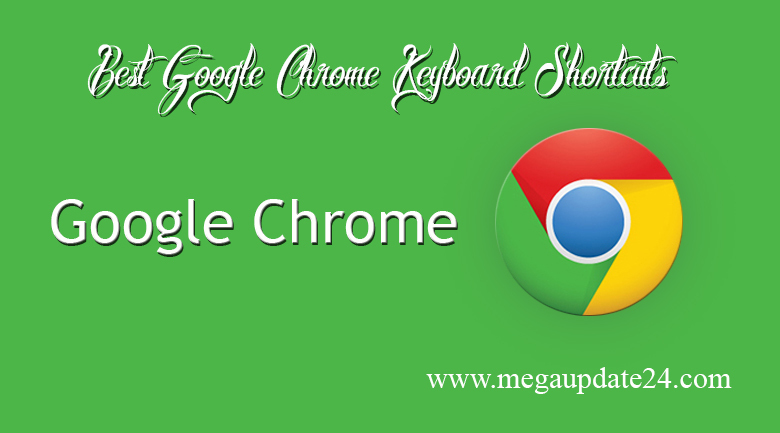 These are the best and most useful Best Google Chrome Keyboard Shortcuts. Hopefully, all of you are enjoy this post and make your internet browsing faster and enjoyable. If you have more Chrome Shortcuts don't forget to share with us via comment.